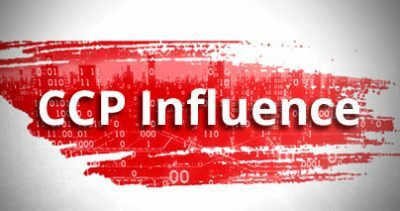 ◎ We believe that the expulsion of Fang Fenghui and Zhang Yang from the CCP is connected with the recent purge of Interpol chief Meng Hongwei. 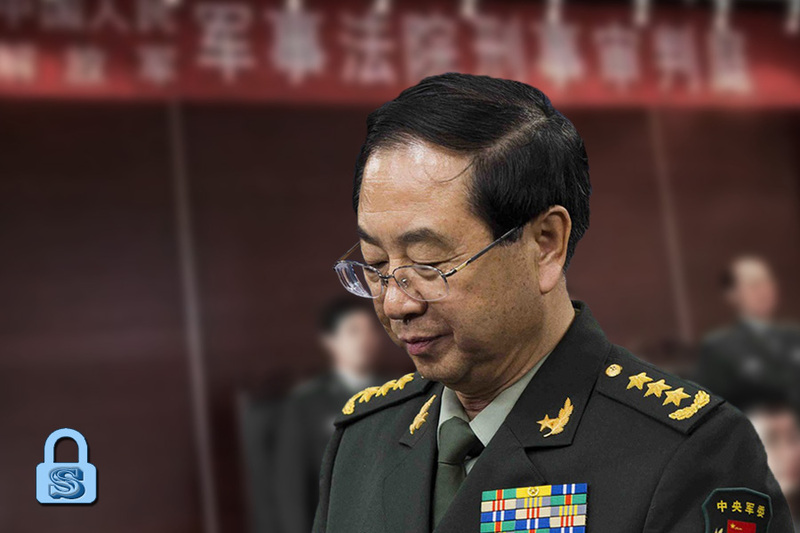 The Chinese Communist Party Central Committee announced the expulsion of former generals Fang Fenghui and Zhang Yang from the Party on Oct. 16. Both generals, who previously sat on the Central Military Commission, were found guilty of corruption and will have their illicit proceeds confiscated. Fang’s case was handed over to prosecutors. State media criticized Zhang for escaping prosecution by committing suicide last year when he was under house arrest. 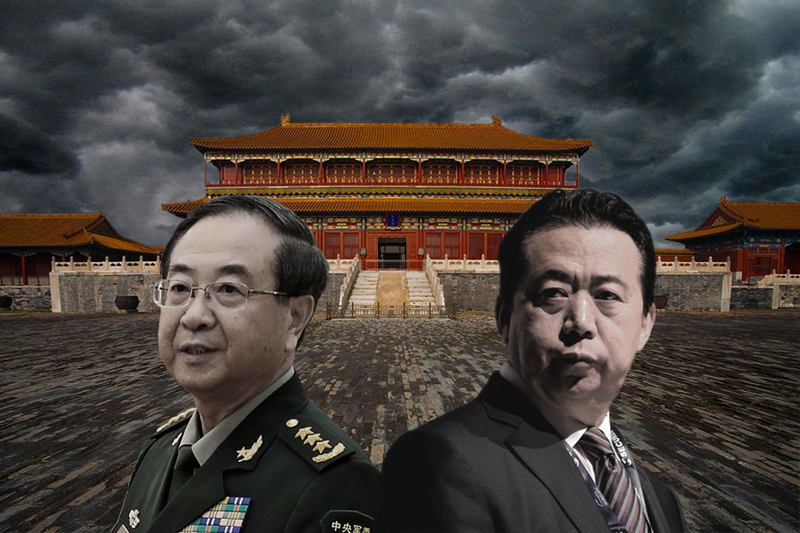 In analyzing the timing of the announcement and the political background of the two generals, we believe that the expulsion of Fang Fenghui and Zhang Yang from the CCP is connected with the recent purge of Interpol chief Meng Hongwei. 2. On Oct. 5, the French police announced that Interpol president Meng Hongwei had disappeared after traveling to China and that they were launching an investigation into his whereabouts. Fang Fenghui’s expulsion and the official announcement of Meng Hongwei’s arrest come after United States Vice President Mike Pence gave a major policy speech on China in early October. Pence’s speech is widely seen as a sign that America has shifted its policy on China, and this shift appears to have triggered a stock market rout in China, caused the foreign exchange market to plummet, and further worsen the Chinese economy. 1. 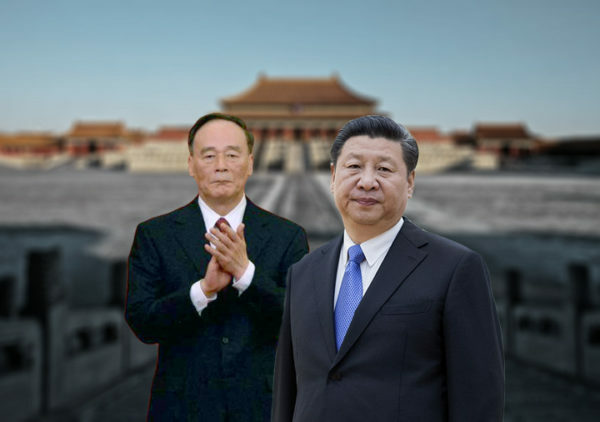 The Party parlance used in the Oct. 16 announcement of Fang Fenghui and Zhang Yang’s expulsion (“serious violation of Party discipline and political rules”; “two-faced persons”; “politically degenerate”) confirms our analysis in September 2017 that the two generals may have been involved in a failed coup plot against the Xi leadership. 2. 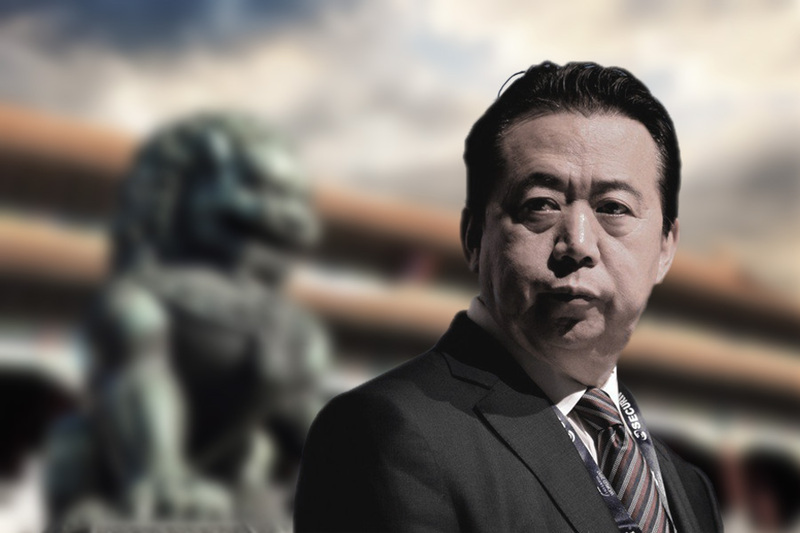 The timing of Fang and Zhang’s official expulsion, which follows the shock investigation of Interpol chief Meng Hongwei, is rather conspicuous. We have previously established that Fang Fenghui, Zhang Yang, and Meng Hongwei have political ties with the Jiang Zemin faction, which opposes the Xi camp (see here and here). Also, we noted in our Oct. 11 analysis that the “CCP factional struggle has entered a critical period” and that the investigation of Meng is part of Xi Jinping’s pushback against a possible “soft coup” by his political rivals. 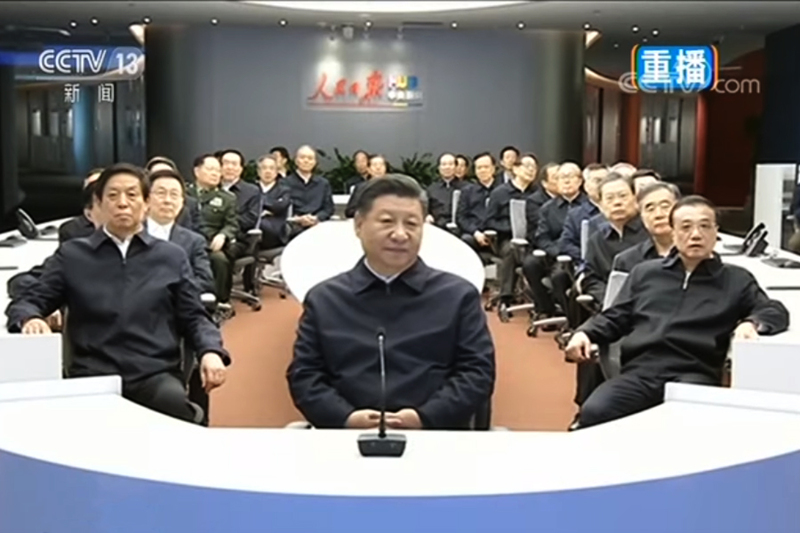 By signaling to the CCP that Fang and Zhang are coup conspirators and officially expelling them from the Party soon after Meng’s arrest, Xi is sending a strong warning to would-be political challengers that he will be heavy-handed in stamping out opposition to his leadership. 3. The recent uptick in the promotion of “Xi Jinping Thought” is another indication of trouble in the regime. We previously analyzed that Xi needed to add his political theory to the Party’s constitution to consolidate his power to a high degree. 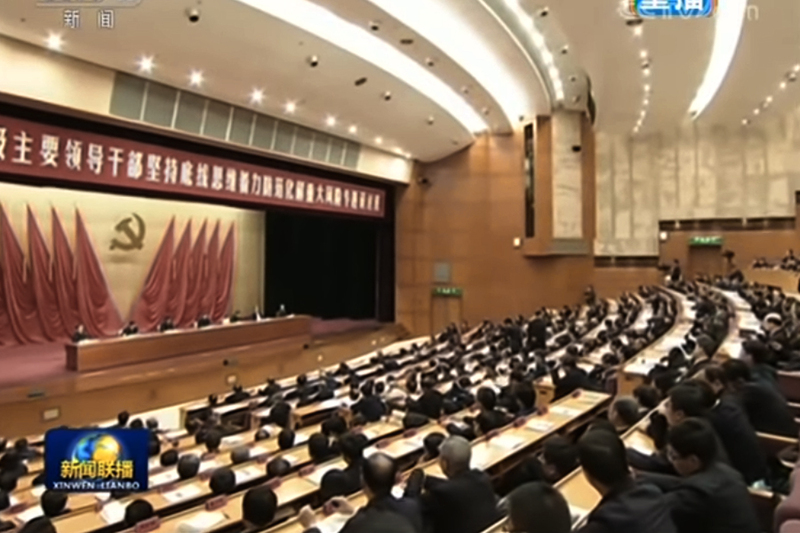 And Xi needs immense power to push through the political and economic reforms required to shift the regime away from the unsustainable Jiang-era governing system and corruption-fueled “growth model.” As part of the Xi’s power consolidation effort, the CCP propaganda apparatus began promoting “Xi Jinping Thought” ad nauseam after it was introduced at the 19th Party Congress and rectified at the Two Sessions. 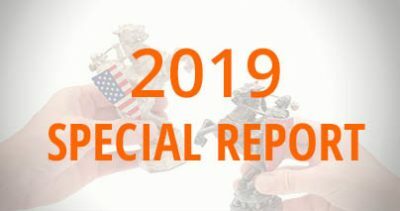 In July 2018, however, the propaganda apparatus somewhat muted the “Xi Jinping Thought” promotion campaign, a period that coincided with the imminent implementation of the first wave of U.S. tariffs. We wrote in June after President Donald Trump announced the tariffs that they represent a “major diplomatic defeat for Xi Jinping and a huge loss of face” for him, and that he is expected to “face serious challenges to his rule from rivals and the system.” The reports of disgruntled Party elders challenging Xi Jinping at the Beidaihe summer retreat and other rumors affirm our June analysis and suggest that the scaling back of the “Xi Jinping Thought” propaganda was the result of the CCP factional struggle. By September, there were signs that political theory propaganda was making a quiet comeback. 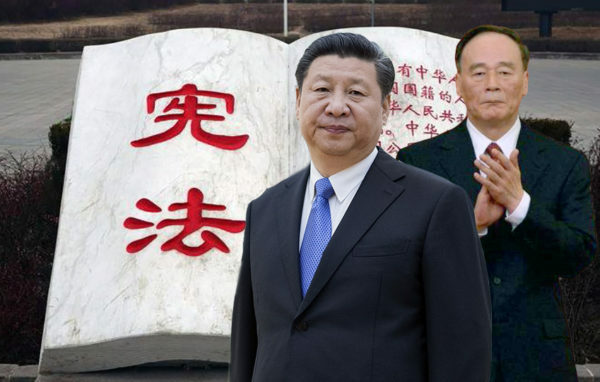 The “Xi Jinping Thought Research Center” published the first issue of its monthly magazine (predictably titled “Xi Jinping Thought”) on Sept. 1. On Sept. 12, the regime’s education ministry announced the establishment of a special fund for ideological and political work for colleges and other institutions of higher learning. 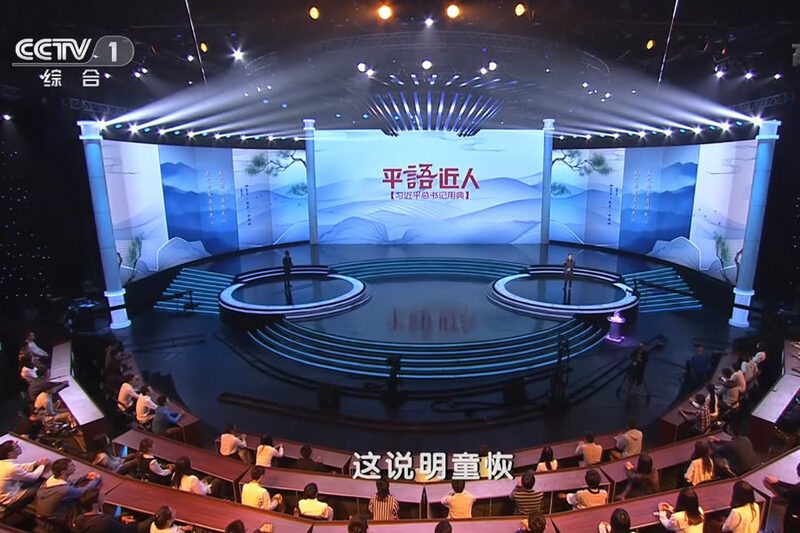 And starting on Oct. 8, a day after Meng Hongwei was officially investigated, state broadcaster CCTV program “Lecture Room” ran the first episode in a special series featuring Xi Jinping’s sayings and speeches. The series is scheduled to conclude on Oct. 19. The subtle boost in promotion of “Xi Jinping Thought” seems to be Xi’s way of reasserting his paramount authority and push back against internal opposition to his inability to prevent a Sino-U.S. trade war. 4. Signs of CCP infighting do not only appear in state media. Factional battles are often fought by proxy in the overseas Chinese language media. The present pushback against Xi Jinping is no different. We examine two case studies. In the first case, Luthor, an overseas Chinese independent commentator, claimed on his “Luthor Society” program on Oct. 9 that Grace Meng, the wife of Meng Hongwei, was receiving assistance from fugitive Chinese billionaire Guo Wengui. “Guo and Grace are very familiar with each other,” Luthor asserted. In the past three months, Luthor has been actively reporting on Chinese politics and frequently uses content from Guo’s internet broadcasts. 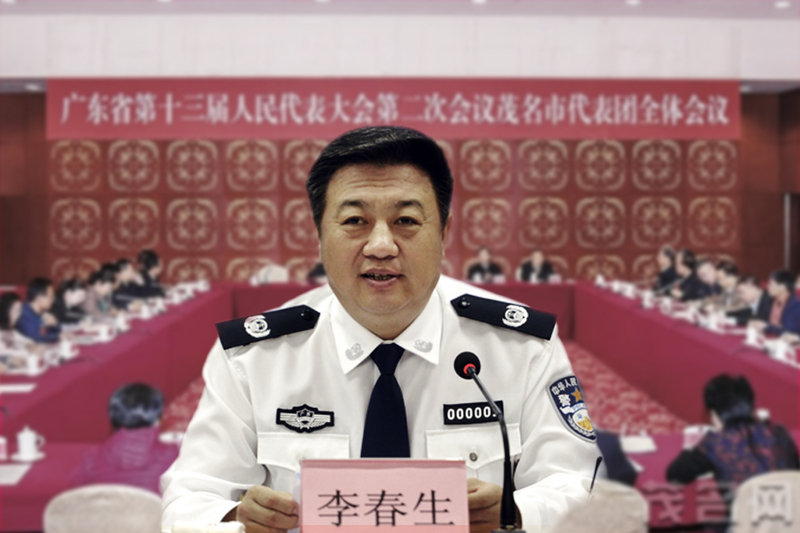 On Oct. 12, a court in the northeastern city of Dalian slapped a huge fine ($8.7 billion) on a company controlled by Guo for the illegal takeover of a securities firm in 2015. 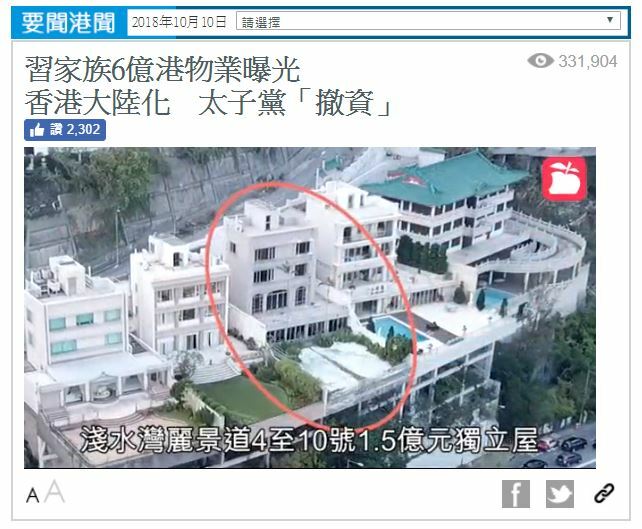 In the second case, Hong Kong tabloid Apple Daily reported on Oct. 10 that the relatives of several current and former Politburo Standing Committee members owned expensive property in Hong Kong. 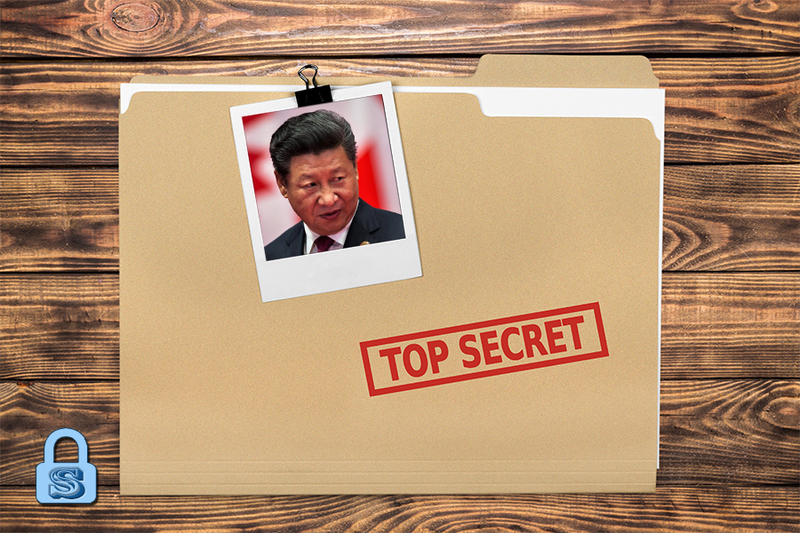 The report singled out the families of Xi Jinping, Hu Jintao, Zhang Gaoli, Jia Qinglin, Li Zhanshu, and Wang Yang. Nothing was mentioned about the Jiang Zemin and Zeng Qinghong clans, an odd omission given that both men and their family members were well-known for corruption and owning expensive property and assets overseas. Also, except for Jia Qinglin and Zhang Gaoli, the other CCP elites mentioned are all in the Xi camp. Based on our research, the Apple Daily report is a continuation of the “bombshell allegations” about corruption by the Xi camp that was released in the lead up to the 19th Party Congress in 2017. 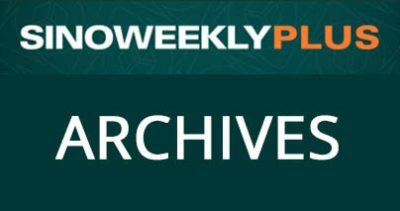 Going back further, the political direction of the “bombshell allegations” and the timing of their release parallel those published by Western media outlets before the 18th Party Congress in 2012. The consistency and nature of such “bombshell allegations” suggest that they are part of the political maneuvering in the CCP factional struggle. The recent Apple Daily report appears to be intended to signal that while Meng Hongwei (or other officials that may be purged later) will be investigated for corruption, the families of Xi Jinping and his political allies are just as corrupt. 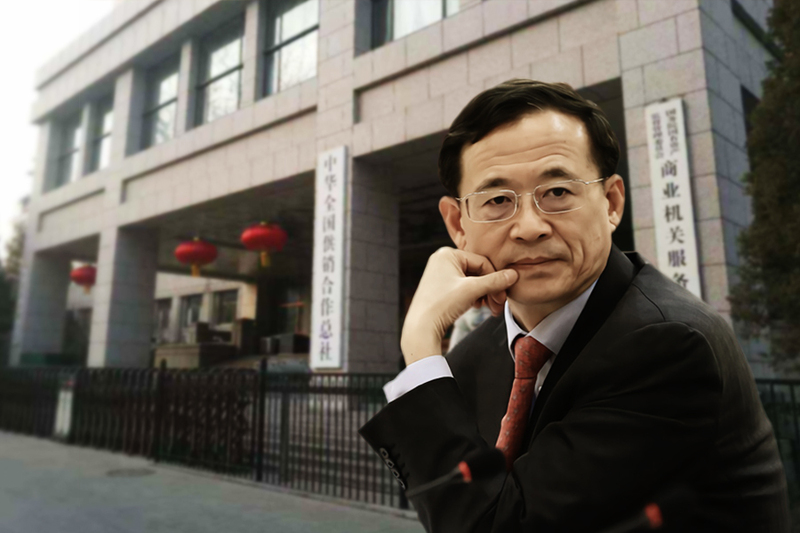 The inclusion of lesser Jiang faction officials like Zhang Gaoli and Jia Qinglin in the report is likely meant to give the “bombshell allegations” a ring of authenticity. 1. 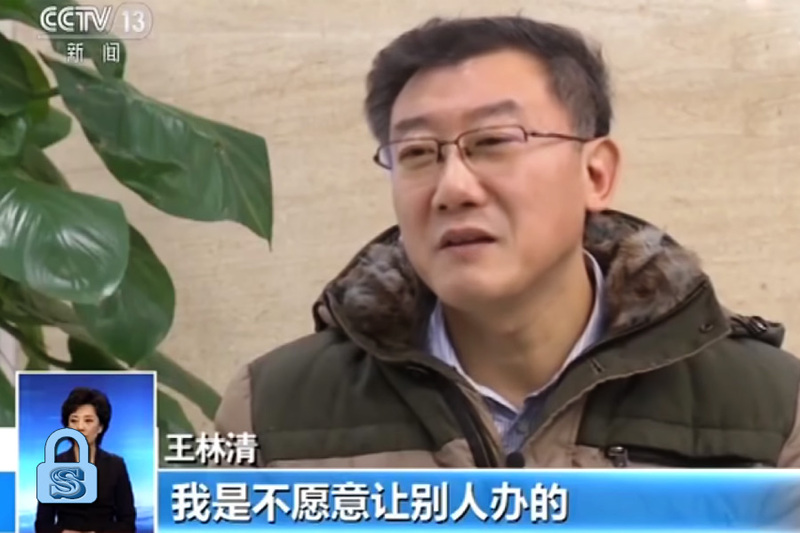 More purges are likely to follow the expulsion of Zhang Yang and Fang Fenghui, and the investigation of Meng Hongwei. Chinese officials (particularly those with Jiang faction ties) in the domestic security and legal apparatus and the military face very high levels of political risk. 2. Xi Jinping needs to defuse Sino-U.S. tensions to lower domestic and foreign pressures on his leadership. If Xi manages to quell the “soft coup” and more or less restamps his authority over the regime, Beijing might be ready to make significant concessions on trade to cut a deal with the United States. Xi will be very fortunate if America decides to escalate the trade war at a slower pace (such as delaying the rise of tariff rate from 10 percent to 25 percent on $200 billion worth of Chinese imports) to allow Xi more time to actualize greater reforms after making preliminary concessions. The CCP system, however, will not permit Xi to make the sort of fundamental changes to China’s economy that the Trump administration is requesting. 3. 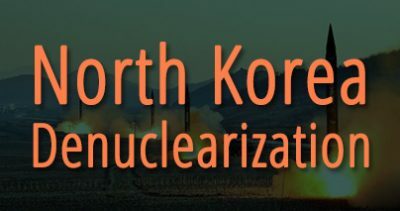 We believe that the Trump administration is approaching trade with China similar to the denuclearization of North Korea, that is, “maximum pressure” until concrete concessions are made. Xi Jinping, like Kim Jong Un, will likely be compelled to give up some ground to gain a reprieve from U.S. pressure. 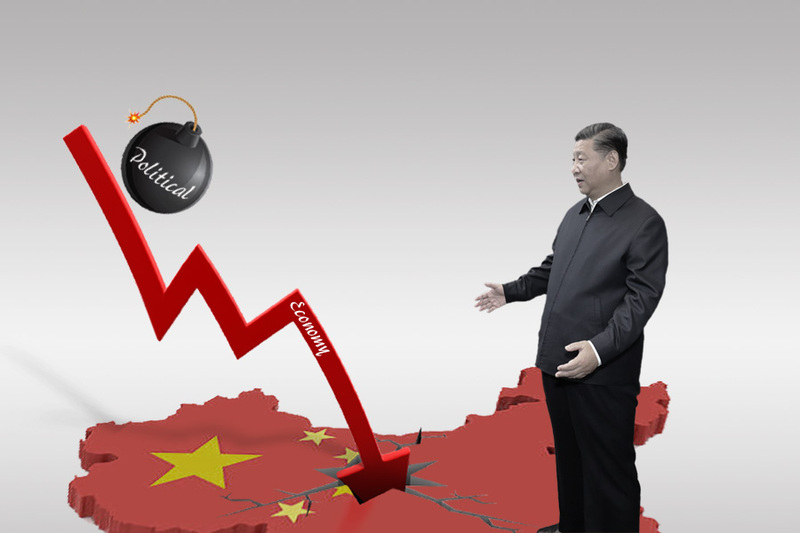 If Xi is unable to stem external pressure, he will very likely be overwhelmed by domestic troubles like political resistance, a worsening economy, and rising social tensions. Xi, like Kim, will find that the hardest part of making trade concessions is selling the deal to the Party and the Chinese people. Already, the CCP propaganda apparatus is promoting the notion that “reform and opening up is a foregone conclusion” to prepare public sentiment for reform. Understanding the CCP factional struggle is essential for anticipating China’s political and economic trends, as well as minimizing exposure to political risk. To learn more, contact us today.